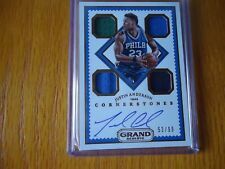 2017-18 Panini Absolute Basketball JUSTIN ANDERSON AUTOGRAPH 15/99 ‘Determination’ (#D-JA) PHILADELPHIA 76ers Absolute Memorabilia Short Print Nice card in excellent condition. The blue on the sticker auto is just from the lighting & the auto is very nice! Great addition to any collection! Thanks for looking & please check out my other card listings! Charlottesville, VA 22901. US P/H is 3.50. Ungraded Single Cards. Card is stamped on the back 41/65. Card is in EX/MT condition. See pictures & judge the condition. Team: 76ers. Player: Justin Anderson. Card Number: 20. Graded: no. Knowledge think this card is near mint-mint, unless it is already a graded card with an assigned card. 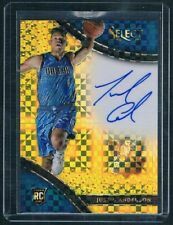 JUSTIN ANDERSON 2017-18 SELECT IN FLIGHT SIGNATURES AUTO #034/149 76ERS. 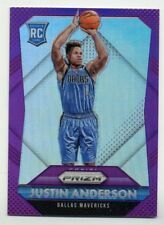 2015-16 Panini Absolute - Tools of the Trade /125 - Justin Anderson - # 049/125. Card will be shipped in top loader and padded mailer. All cards are nrmt condition or better unless otherwise noted. It is #1 in the set. It is serially numbered 81/199.